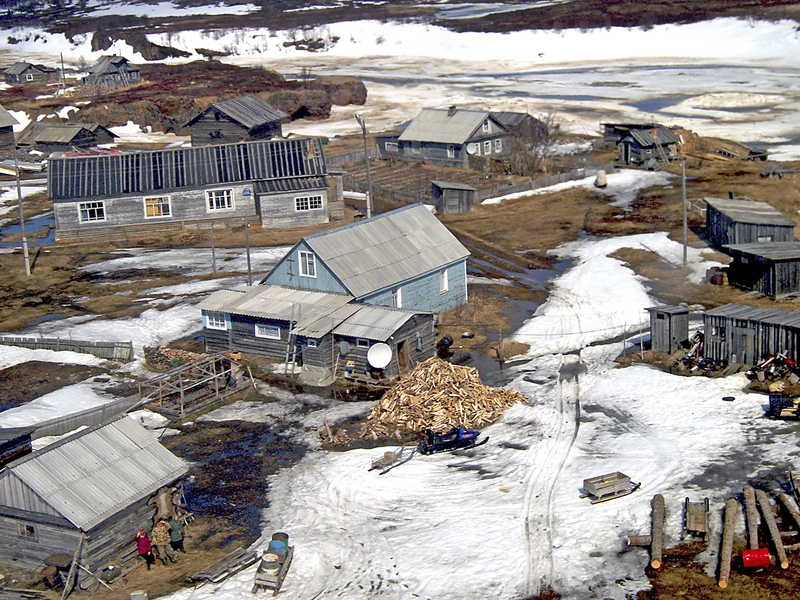 Since 2006, Snowchange has worked in the Eastern part of the Kola Peninsula, Murmansk Region, Russia. This connection, now in its second decade, happens in a partnership with the local Komi, Sámi, Pomor and Russian communities. A summary of the work is available in Russian here. The Ponoi catchment area contains relatively undisturbed ecosystems of the European North. The Ponoi itself is a major Atlantic Salmon river and the age-old home of the Ter Sámi. The Kildin Sámi in the central Kola Peninsula occasionally have also used parts of the basin in their traditional land uses. 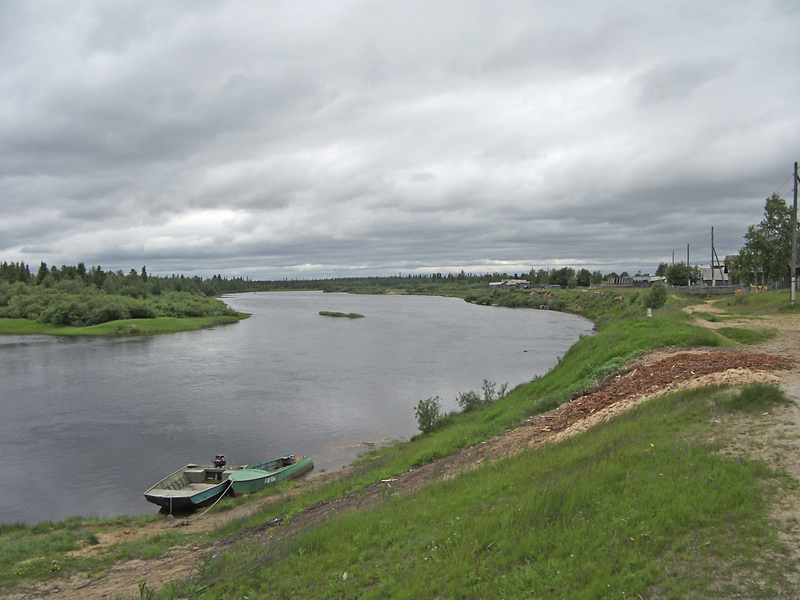 Ponoi river at Krasnochelye. Snowchange, 2016. Since 2011, Snowchange has partnered with Russian organisations and the Ministry of Natural Resources in Murmansk, to document and investigate the questions of ecology, Atlantic salmon, traditional culture and land uses in the basin. 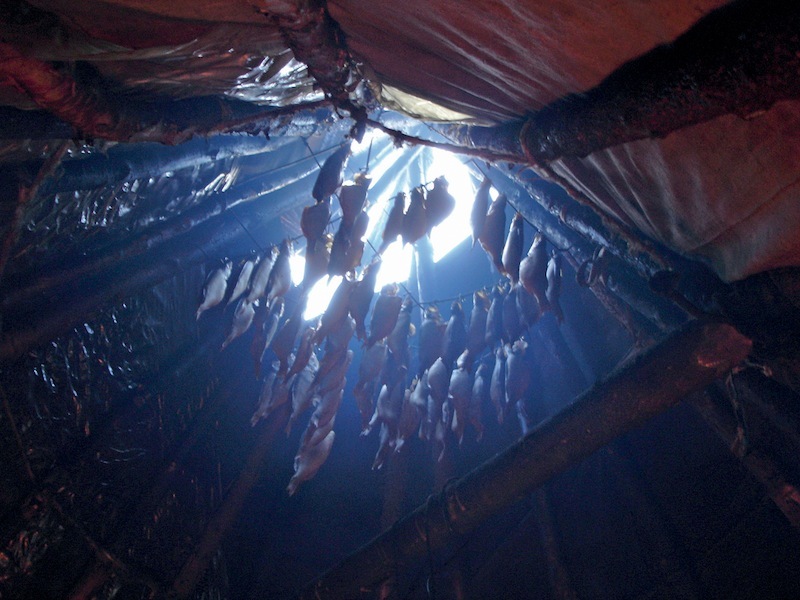 Key communities in this work are the remote, fly-in wilderness villages of Sosnovka, Krasnochelye and Kanevka as well as the Indigenous Sámi obschinas or tribal-traditional communities. The work is on-going and led by the local communities in cooperation with Snowchange following guidelines and standards of the Russian Academy of Sciences and Ministry of the Natural Resources.